The club was formed in 1946, just after the end of the second world war. They played in the Oxfordshire Junior League at first, progressing to the Oxford Senior League in the late 1950's. They won two Premier Division titles whilst here, after the latter in 1958, they made the switch to the Warwickshire Combination, staying until 1964. Easington Sports then rejoined the Oxfordshire Senior League, winning the 1st Divison in 1966 and Premier Division runners-up the following season. They joined the Hellenic League in 1971 and have been in its second tier for almost all of their stay here, which continues to this day, albeit now on a regional basis in the Division 1 West. The highest finish so far came in 1975 when Easington Sports finished behind Maidenhead Town and Morris Motors for a 3rd place finish. On the flip side, there have been three rock bottom finishes, including 2 at the start of the 1980s. The first of those seasons saw just one win all season - Rayners Lane being beaten 3-0 to save them going the whole season without a victory. 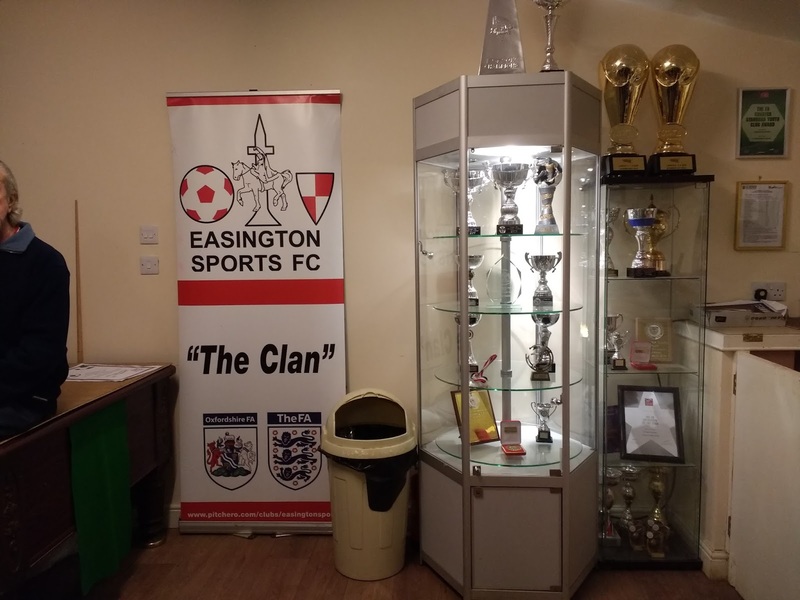 Since regionalisation was introduced at the turn of the century, Easington Sports have spent all but two seasons in the Western Section. Recent seasons have been fairly successful and if the good results continue, they could still achieve their best ever league position and potential promotion to the Premier Division. The installation of floodlights at the start of the season saw the club participate in the FA Vase for the first time in 27 years. 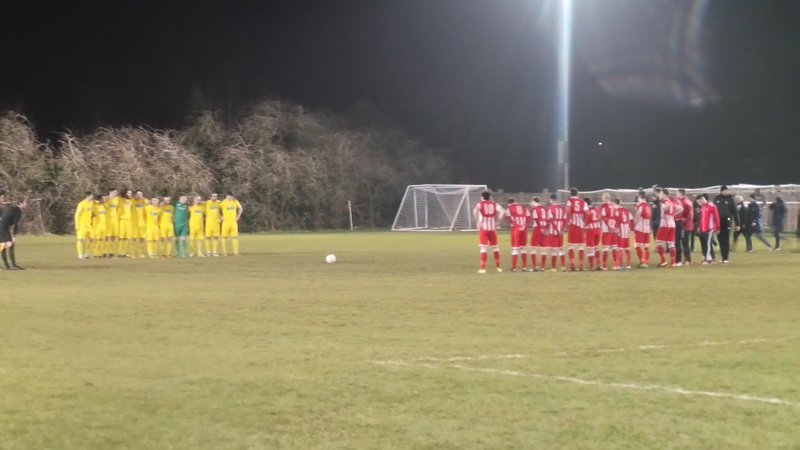 They are still awaiting their first win after a 4-0 defeat to Highworth Town made it 3 defeats from 3. 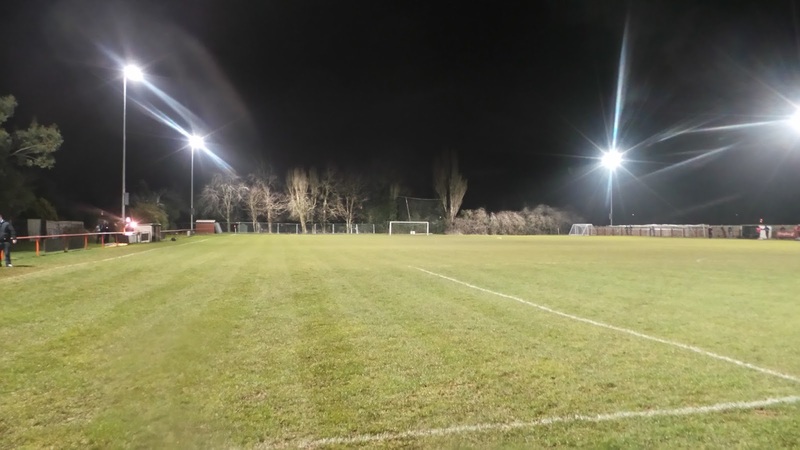 The FA Cup has not yet been entered, but with floodlights and a stand now in place, they could soon make their debut. 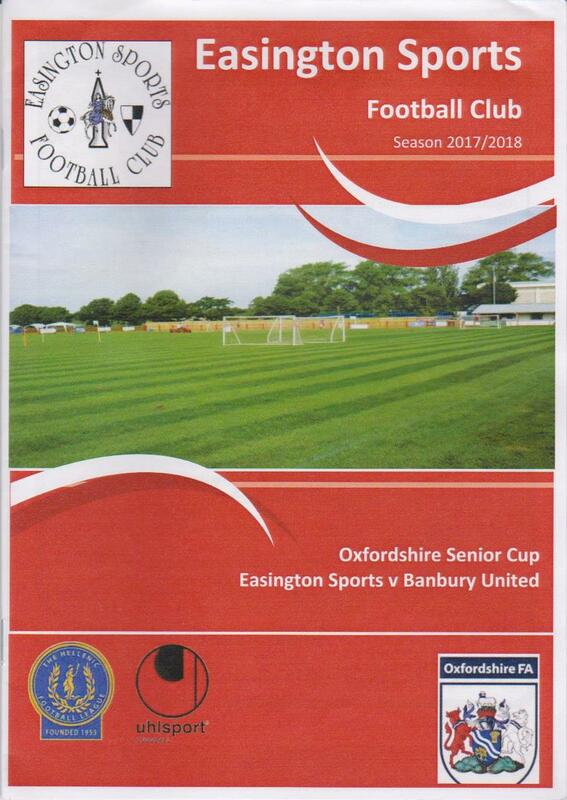 Local cup wins include the Ben Turner Trophy twice whilst members of the Oxford Senior League and the Ron Thomas Memorial Cup in 1999. The record attendance of 300 came for a 1956 Oxford Senior Cup tie against Witney Town. The club gets their name from a local area and housing estate in Banbury and are nicknamed 'The Clan'. I'd be on my own again on this day, as my fellow hoppers were busy. Chris had originally said he'd be up for a game but had to pull out due to other commitments. Anwar was also unavailable, he'd signalled a long time ago that he was off to Luton Town v Wycombe Wanderers. This game wasn't for me, I'd been to Luton many times, most recently little over a year ago. It would also involve a trip on the Independent Supporters Club coach, with a pub stop. After a heavy Saturday in that respect, I was keener than ever to keep up my midweek abstinence. The most logical option then would be to go south and do a ground that would be impractical to do with my hopping pals. The likes of Broadbridge Heath, Billingshurst and Midhurst & Easebourne fitted the regard in that respect, but each would involve a trip around the unpredictable M25. 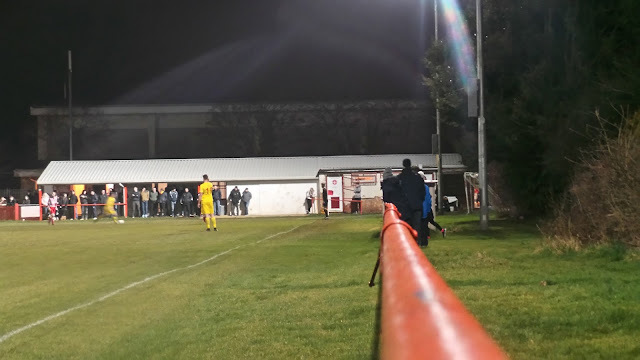 There was another interesting option, and despite being fairly close to home, I'd not once seen it come up as an option in all my time of midweek groundhopping. This was probably due to that fact they played in a league with 15 teams - meaning just 28 games a season and little need for midweek games. However, an interesting local derby had popped up in the Oxfordshire Senior Cup as they faced local side Banbury United in the Quarter Final. Just one and a half miles separated the sides and it was quite a big game for the hosts, with United being relative giants, playing 3 leagues above in the Southern Premier. 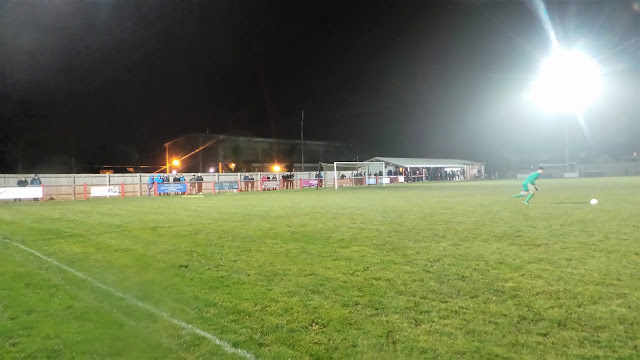 The two sides had met briefly in league games when Banbury United's Reserves played in the Hellenic Division 1 West for two seasons between 2006 and 2008. 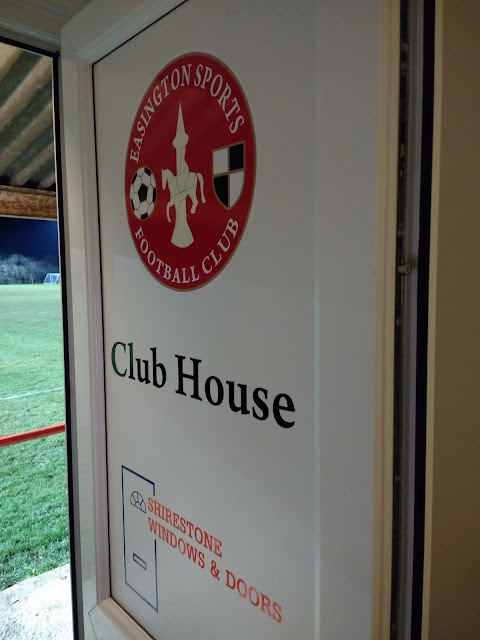 The results had fallen very much in Easington's favour, with 3 wins out of 4 unbeaten matches including 7-1 and 5-1 victories. There was some doubt as to whether the game would go ahead due to some rain the previous day, but I was hopeful that it would, despite having three backup plans in place. The day of the game was a pretty standard day off, though I wish I'd got a better night's sleep rather than keep waking up. After getting ready, I did my usual walk down town, meeting my Dad at Morrisons where I bought a chicken curry meal before getting a lift home. The afternoon at home was a very dull and lazy one and I just wanted the game time to come. Luckily, there were no forecast issues with the pitch, meaning I could go ahead with my original plan. After a dinner of salmon stir-fry, I left just before 6pm, hoping I'd still make the 7.30 kick off. The journey over went without a hitch and I arrived just after 7. After parking in a local school as instructed, I went to the entrance. Entry was excellent value at £5 including a programme. I went to the bar to catch up online in the warm, seeing several hoppers who had also chosen this game and boosted what felt like a decent attendance. Before the kickoff, there was a minutes silence for Jimmy Hay, who had recently lost his battle with Alzheimer's. Hay had played for my team Wycombe Wanderers, playing between 1960 and 1963, later going on to manage Easington Sports. Also laid to rest was Banbury's former player Wayne McDowell - he was a good servant for the Puritans, making 233 appearances and scoring 77 goals between 1983 and 1985. 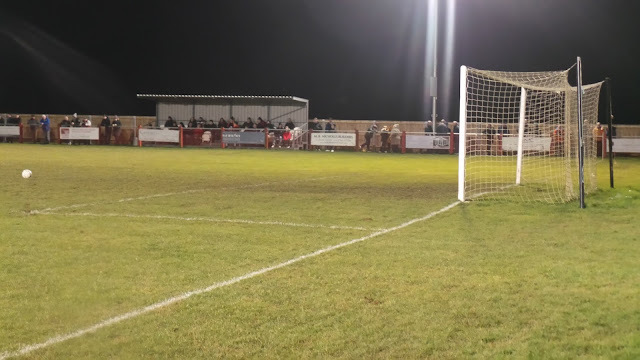 Banbury's local radio station, Puritans Radio, based at United's stadium was covering the game and from the few minutes that I heard of them, they were doing a great job of commentating. 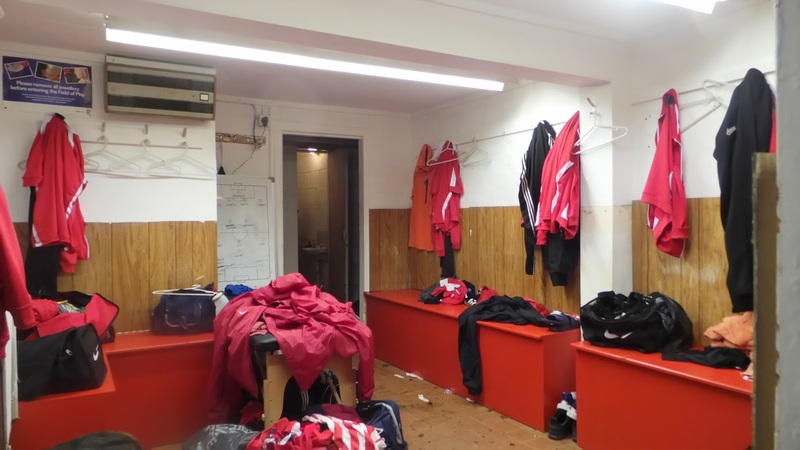 Banbury United had brought a great and from what I heard, they had named a strong lineup. Perhaps then, it was no surprise that the visitors dominated the opening ten minutes. 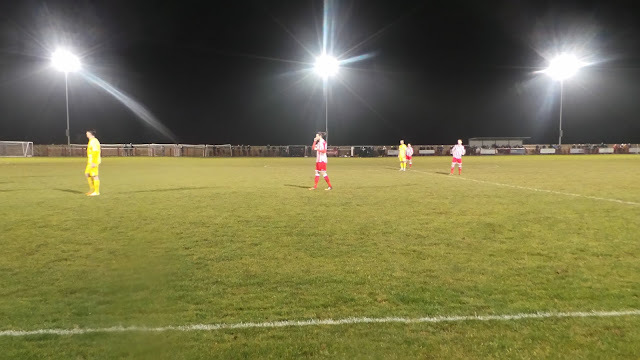 However, it was Callum Convey who gave Easington the lead on 11 minutes, heading home a left-wing cross from close range. This led to the hosts gaining confidence and having a strong spell just after they scored, but they didn't really test visiting keeper Jack Harding that much. On 19 minutes, it was all square when a great ball forward allowed Ricky Johnson to score with a looping header. This came a minute after Connor McDonagh had seen his shot cleared off the line by Conor Grant. The rest of the half saw the visitors continue to dominate and they'd already seen a header ruled out for an infringement. A minute before halftime, they did take the lead, Charlie Wise heading home from a corner. The second half was played out with few chances being created and was a bit of a let down after an entertaining first period. 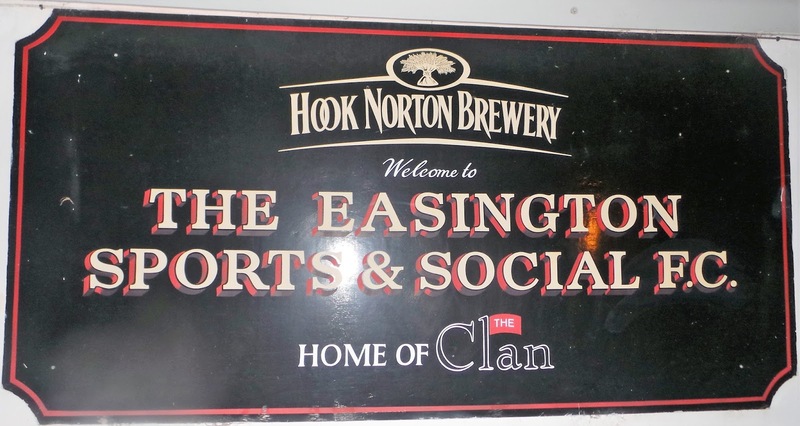 The game had attracted Easington Sports' record attendance, at 305 it had beaten the previous record set all the way back in the 1950's. The club had been great hosts and their team had put up a great fight. Despite a great first half, the second half had been a quiet one. There was great news for Wycombe who had won 3-2 at Luton in what sounded like a great game. I listened to the coverage on BBC 3 Counties radio on the way back, this made the journey go a lot quicker. 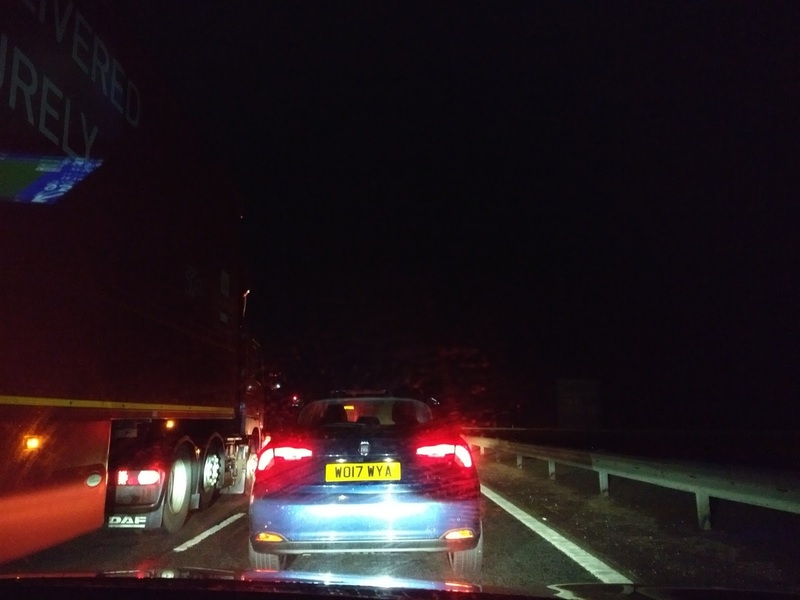 The journey was all going well until there was a long delay on the M40, thanks to a multi-vehicle accident further up. I'd just passed the junction for Thame at 10.05 when the traffic came to a standstill. After a 45 minute wait, I discovered that it happened a few hundred yards in front of me, luckily it just looked like vehicle damage. The delay was certainly preferable to being there a few minute earlier and getting my car smashed up, especially with the luck I’ve had with my current vehicle. I got in at 11.10, shortly followed by my Dad, who had been to the Luton Town v Wycombe game. I had a quick drink of squash before watching YouTube videos until midnight, not the best of situations with me being up at 4 am, but I can never get straight to sleep straight after returning from football. Of course, that meant a sleep the following afternoon, but as ever, it was worth it. ADDISON ROAD has seen plenty of recent developments to bring the ground up to the satisfaction of the ground graders. 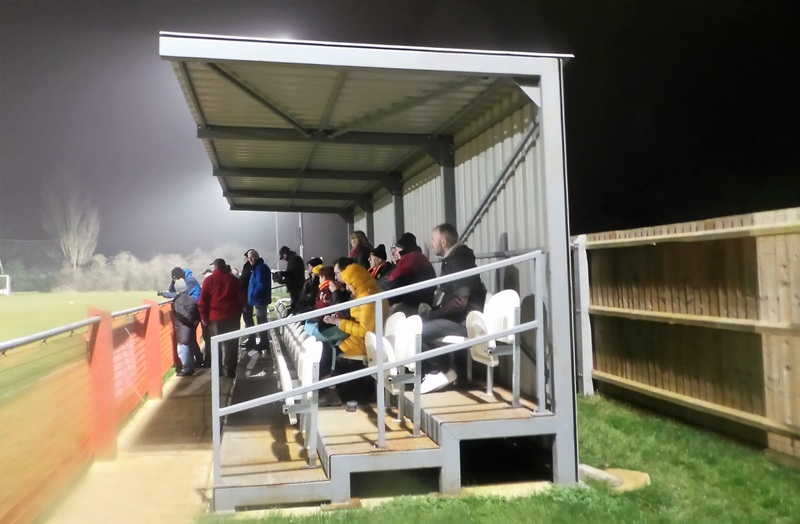 This includes the standard 50 seat metal stand and a set of floodlights, after years of objections by some local residents, but thankfully an agreement was reached to allow them to remain at step 6. 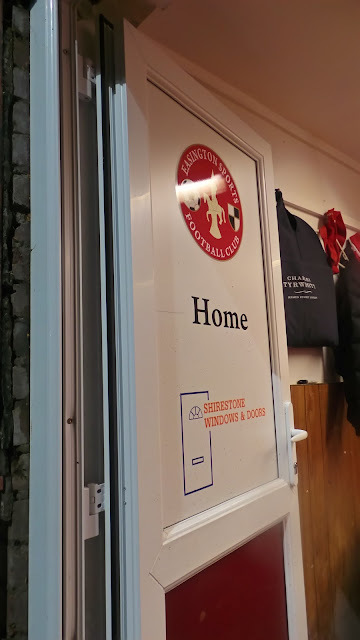 There's also a covered overhang in front of the clubhouse and the whole ground has a nice, homely feel. 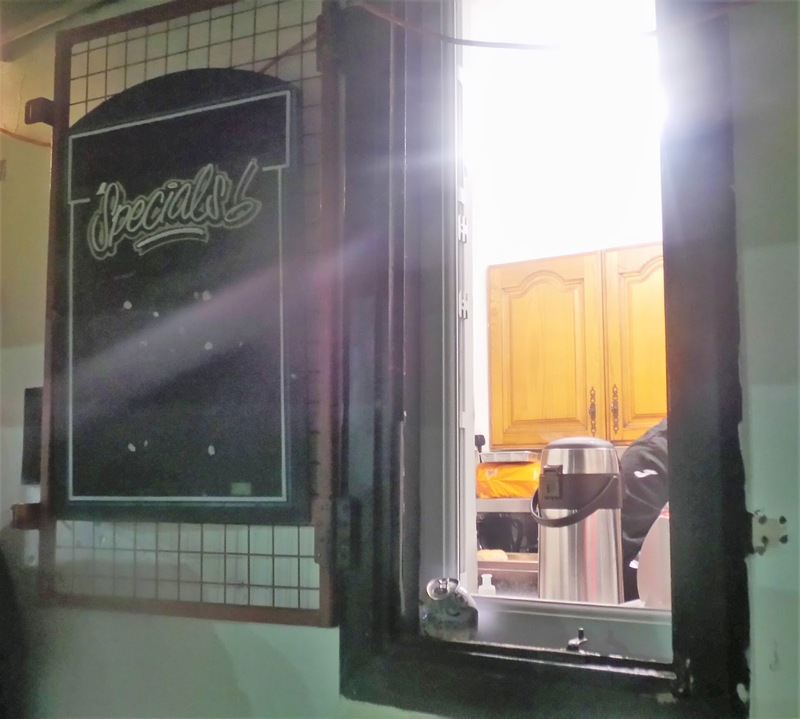 There isn't much around the ground, but they have a reasonable bar with a decent selection of drinks, and a tea bar that I didn't get a closer look, but heard good things about.